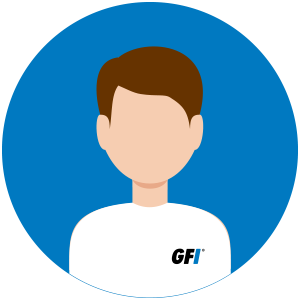 With unlimited product installations, free technical support, all for one flat-fee, it’s easy to spot the customer benefits of GFI Unlimited. But did you know, GFI Unlimited offers partners an innovative way to sell software, away from the usual constraints of managing different licenses for different products? We caught up with Johannes Kamleitner, SVP & Chief Revenue Officer of GFI Software, to find out what led to this revolutionary software subscription. Q: What has GFI been doing for the Channel and its customers over the past year? A: In 2017, GFI Software moved significantly forward as a vendor. We started to execute our dynamic growth strategy with the acquisition of Kerio Technologies and Exinda Networks. We brought more products to our customers and partners, and have also strengthened our operational manpower in sales, marketing, and customer support. We have focused on filling the gaps in the GFI product portfolio with solutions such as the great Kerio Connect mail server, the complete Kerio Control next-generation firewall security solution, and Kerio Operator – the award-winning VoIP phone system. With the addition of Exinda, we added a solution to our portfolio that improves and accelerates network traffic by setting prioritization of applications. In addition to the standard GFI/Kerio market for small and medium-sized businesses, the Exinda acquisition also opened up the doors for partners and customers from large enterprises and public administration. Of course, as with any acquisition, we faced some challenges that needed to be solved in the short term, but in the long run we are confident we will be able to create a software powerhouse where all of our partners and customers will have full access to a growing catalog of network security and communications solutions at an unbeatable price. Q: How would you evaluate GFI Software’s position a year after the acquisitions? A: From a product point of view, the integration of Kerio and Exinda products into the GFI product portfolio is now complete – and this will be important for us as we continue further into 2018 as we continue to help our partners and customers stay on top of security threats and compliance requirements like GDPR (General Data Protection Regulation). Our product line is now fully suited for all partner and customer needs in this area – from archiving emails, calendars, attachments, and faxes, through complete event management and system logs, together with solutions aimed at preventing breaches such as patch management, UTMs and enterprise risk analysis. From a commercial point of view, we continued our successful cooperation with local distributors and resellers by opening new sales channels for Kerio and Exinda. We have also introduced a brand-new partner program, helping partners achieve their annual turnover through attractive margins and new benefits. Q: So where does GFI Unlimited fit into all of this? A: On April 3, 2018, we launched a revolutionary subscription for business software. 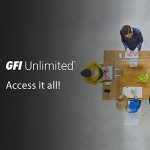 With GFI Unlimited, a customer will be able to choose any software their company needs from our world-class network security and communications catalog for one flat fee. GFI Unlimited will essentially be the first global software library. We’re spending millions on software so customers don’t have to. This means that the more software a customer uses the more they will save. Q: Which solutions are currently available with GFI Unlimited? A: We’re offering more than a dozen solutions, covering network security and communications. We plan to continue adding to these products, to offer even more value to our customers and an even better proposition for our partners. Q: Apart from the obvious pricing advantages, what other advantages does GFI Unlimited have? A: Solutions from the same vendor work better together. They are built to complement each other. GFI Archiver integrates perfectly with GFI MailEssentials, Kerio Control and GFI LanGuard are the perfect partners to mitigate network breaches. With challenges like Ransomware, or even the upcoming GDPR regulation, we know there is no one piece of software that a business can use to cover everything. Such challenges need a suite of software to either mitigate malware or even help with compliance, and we know that SMB budgets for tech can be stretched. This is where GFI Unlimited shows it’s amazing business value. Q: What’s next for GFI Software? A: The main goal is to continue to enable all our partners and customers to get all the software they need to run their businesses. GFI Unlimited will help with that. The full catalog of business-proven and comprehensive products together can cover 95% of all the needs of an SMB and enterprise network. Partners and customers no longer need to contact multiple IT vendors, all of their solutions, pre-sales and post-sales support can be accessed from one place. We are updating our GFI Partner Program effective January 1, 2019. With GFI Unlimited as the main driver for GFI’s future success, it’s important that our channel ecosystem has the right tools and benefits to take advantage of this success and growth potential. The GFI Partner Program requirements have been updated with a GFI Unlimited threshold requirement so that we can continue to offer competitive solutions, pricing, and a comprehensive support package to all our partners. For more answers regarding the updated GFI Partner Program, contact your local GFI Distributor or Channel Account Manager.